We do all kinds of office renovations and refurbishments in Sydney. We take care of your renovation project from initiation to completion. Our company also handles authority approvals such as council and building management approvals. Our team of renovators have the much-needed experience to do renovations and refurbishments involving occupied office spaces in Sydney. Moreover, we can do office fit outs in different stages to reduce disturbance to your staff. In case there’ll be dusty and noisy work, we’ll do it outside your business hours. Innovative Aluminium & Glass has all the experience and skills required to do office renovations for all kinds and sizes of businesses. We assure you that our team of office renovators will spruce up your office regardless of how large or small the setup might be. Innovative Aluminium & Glass prides in having a professional team of office designers, builders, and project managers. They all have the much-needed skills in designing outstanding, modern, practical, and vivid construction solutions for all kinds of office spaces. We design and deliver the best solutions to rejuvenate your office space and make it more aesthetically pleasing. We complete the project on budget and on schedule. A well-designed workplace enhances the productivity and efficiency of staff since it promotes a good working environment. We stand out from other renovators due to the fact that our team delivers a premium service at a competitive price. You’ll not have to break the bank when working with us, and you’ll still enjoy a professional service. In case you want your Sydney office to be upgraded or refurbished, contact us right away and we’ll send a project manager to visit your site. The project manager will give you a detailed proposal covering all the aspects of the refurbishment project. Innovative Aluminium & Glass specializes in commercial and office refurbishments and fit outs. We have more than 20 years of experience in office renovations. Every company and office is unique in its own way. Our renovation solutions are tailored to fit your business. We treat all jobs with uttermost seriousness and no job is either too large or too small for us. 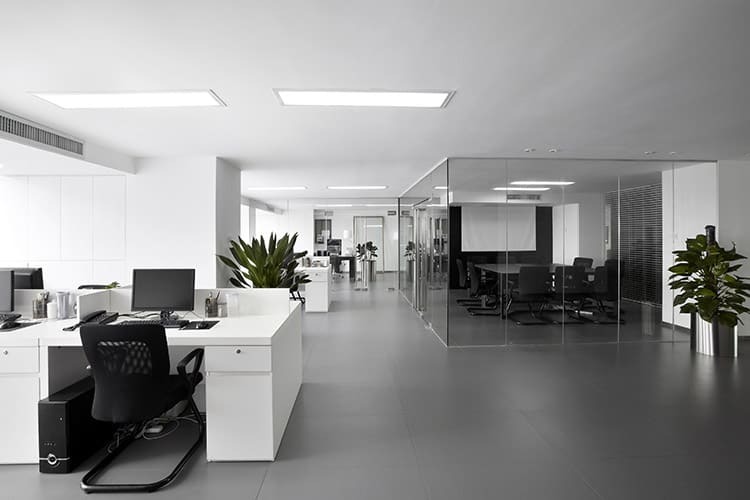 Our team of constructors will work with you in a collaborative manner to make sure you get an office space that meets the specific requirements of your business, budget, and office space. We only send the best team for a specific job. We’ll deliver the best results and we only work with reliable and trusted tradespeople. Every project has a cost and every office owner or company has a certain budget. We’ll assist you in getting the best results within your budget. Our main aim is building a good working relationship with our customers to give you the best results and make sure we grow together.